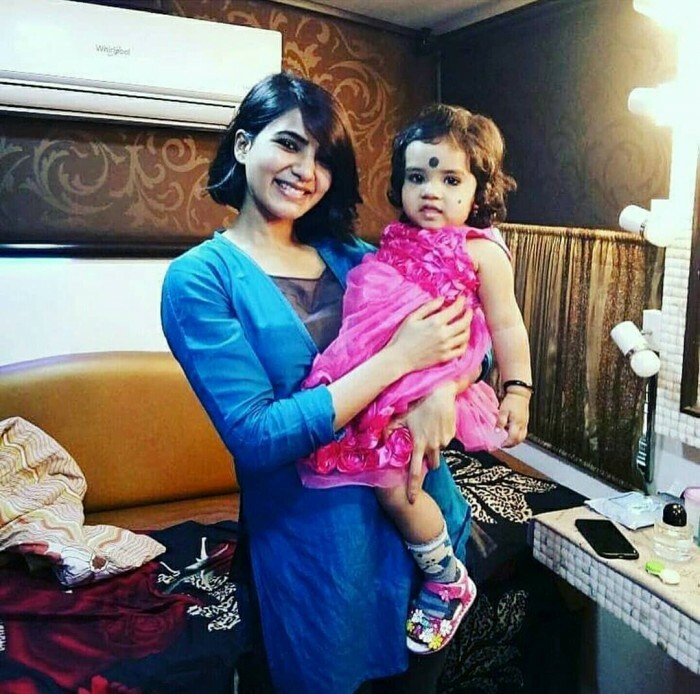 Samantha can be seen holding a kid in her arms in these stills from the sets of U Turn. It is common knowledge that 2017 was a pretty awesome year for the bubbly and lively Samantha Akkineni. 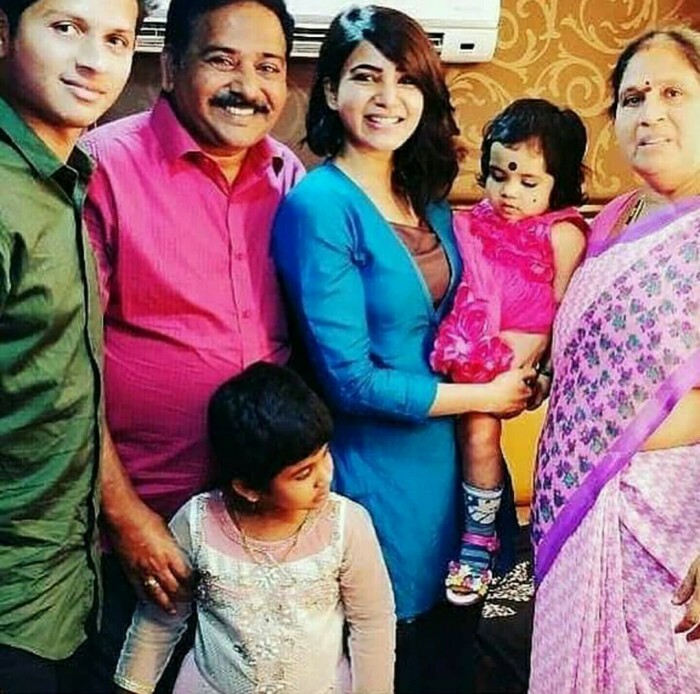 In October, she walked down the aisle with her bae Naga Chaitanya and added a new dimension to her life. 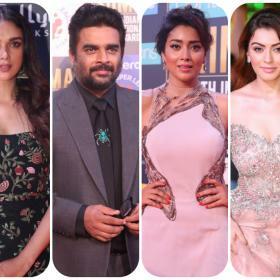 Thereafter, she received some good news when Raju Gari Gadhi 2 opened to a fairly good response at the box office and impressed critics. A horror-comedy, it was directed by Ohmkar and also had veteran Nagarjuna in the lead. A few days after that, she tasted success again when Mersal opened to a fabulous response at the box office and turned out to be the ideal Diwali gift for the ‘Thalapathy Army’. With 2017 in the rearview, Sam is currently shooting for the Tamil/Telugu remake of the critically-acclaimed Kannada film U Turn. The remake has already created a buzz amongst fans and now it seems that the curiosity surrounding the remake is going to reach new heights As it so happens, some photos from the shoot location of the film are creating a buzz on the social media for all the right reasons. In them, Sam can be seen in her usual smart but sweet avatar as she holds a baby in her arms. It goes without saying that her bubbly smile is truly priceless and adds a new dimension to these pics. In case you did not know, U Turn was directed by ace filmmaker Pawan Kumar and featured actor Shraddha Srinath in the lead. Its success propelled Shraddha’s career to new heights and we hope that the remake works wonders for Sam. On a related note, this is a busy time for Samantha. Besides U Turn, she also has Irumbu Thirai and Rangasthalam in her kitty. Irumbu Thirai is an action-thriller and also has Vishal in the lead As far as Rangasthalam is concerned, it is a romantic-drama and has been directed by Sukumar. In it, Sam will be seen alongside Ram Charan. Both films will hit screens this month. She herself is sooo adorable!! !